In a few months time, Malta’s capital city, Valletta, will be European Capital of Culture for 2018, which shall also be European year for Cultural Heritage. The legacy of this milestone has been works-in-progress for quite some time with a cultural infrastructure including, amongst other projects, a national art museum. As we look forward to this eventful year, I would like to do futuring, or how we can anticipate the future by looking closely at current trends, developments and visioning. My futuring exercise shall concern this national art museum, MUŻA. The name goes beyond a mere branding exercise and stands for a chosen vision with clear and set objectives. The word MUŻA is an acronym for MUŻew Nazzjonali tal-Arti, the Maltese name of Malta’s now defunct National Museum of Fine Arts established in the 1920s as a Fine Arts Section within the then Valletta Museum. MUŻA is also a direct reference to the nine muses, the Greek mythological figures from classical antiquity thought to inspire creativity. As a research project in its own right, MUŻA strives to rethink the museum model by means of a thorough understanding of its origins, true meaning and purpose. The dual backbone to this new institution is undoubtedly publics and content. As an institution with a purpose, MUŻA’s vocation as national-community art museum is grounded in a thorough understanding of its publics and how these engage with contents. The two are constantly changing, perhaps more rapidly than ever before, and hold potential to shape a new museum institution that will be different from what it has traditionally become. The Florence Declaration, signed at the first ever G7 Culture meeting held in Florence last March, is indicative of new connections and meanings to cultural heritage. The Declaration underpins the value of cultural heritage as the driving force behind the most advanced technology and a key player of the digital age. It also acknowledges cultural heritage as a key instrument in promoting sustainable development, economic prosperity and an extraordinary link between humanity’s past, present and future. The rethinking of definitions might also concern the current geo-political crisis grounded in religious fundamentalism and the ethnic roots of the nation-state paradigm. It certainly sets the scene for futuring the new museum institution that MUŻA aspires to be. My first comments rightly concern the museum publics of the future. Indeed, the 21st century museum has become increasingly conscious of its publics which underpin its status and relevance to contemporary societies. Museum visitors are increasing taking centre-stage as the institution becomes more services-oriented. The trend comes across clearly. Back in 2006 the Austrian artist, curator and theoretician Peter Weibel suggests that ‘in the future, critical co-operation between museum operators and their visitors will be necessary’ and that these ‘must be freed from their passive role as consumers and encouraged to become active and interactive agents.’ The focus on the individual also has a context in contemporary societies, fast evolving into multi-cultural, cosmopolitan and hybrid communities. The number of individuals who acknowledge more than one place as ‘home’ and therefore, have more than one national identity and can belong to more than one community at any given time, is on the increase. Small museums are also recognised as better equipped to speak to and about the individual. Oran Pahmuk’s Modest Manifesto for Small Museums (July, 2016) drawn from the Museum of Innocence, a binary project twinning book and museum also simultaneously conceived, sums up this potential. Pahmuk underpins the role of museums as storytellers of the personal and individual. His advocacy is for small museums as blueprints for the future museum institution. Indeed, they do hold much more potential to create intimate conversations with their visitors than the monumental universal world museums and ‘much better suited to display the depths of humanity.’ Pahmuk’s manifesto implies intimacy and inclusion as necessary adjuncts of his ideal museum narrative, akin to that place of home re-creating the world of single human beings. On the other end of the spectrum stands art history as the yardstick for contents populating art galleries and shaping museum collections. The current structure of the discipline is still guided by connoisseurship and the search for the authentic, guided by a universal canon of aesthetic quality and excellence. Artists and their artworks are classified on the basis of a chronological repertoire with followers and copies relegated accordingly. Where art history stands today and to what extent efforts at renewing the discipline have been successful remains a matter of constant debate. New Art History, a loosely-used term describing efforts at bringing the art of minority groups, female artists, post-colonial art and the art of marginalized social groups into the mainstream narrative of the discipline, has changed very little from the original structure of the discipline. World and Global Art History constitute the latest attempt at breaking away from a westernised and European hegemonic model of art history, challenge labelling and rethink classification-defining hierarchy. Both have not gone beyond being mere hypothetical methodologies. The discipline remains traditional in format, grounded in national and regional identities, still referring to Westernised values of an essentially colonialist origin and at times monolithic in its classification. The focus has recently shifted to micro-ecologies, particularly borders, boundaries or frontiers known to hold inherently liminal qualities. Malta is a case in point of an ‘in-between space’ acknowledging its context as being, in theory, relative to multiple core centres of artistic production albeit in practice hijacked by dominant frontier narratives and disciplined to sustain a select, dominant narrative. Indeed, spaces-in-between have been oftentimes dismissed as peripheries in spite of being rich micro-culture ecologies in their own right. This rich repository of cultural layers, the extent to which these interconnect and how much material culture from each layer has survived, locally or elsewhere, would be the raw material of frontier art history. This new narrative for art history would acknowledge the liminality of the frontier, rather than the relatively fabricated narrative measured with the yardstick of a dominant centre of artistic production. It would acknowledge the relative presence of aesthetics and an oftentimes overpowering presence of history, aspire to develop grounded narratives rather than focus on select historical layers and seek to strike a balance between all historic layers oftentimes caught between westernised models of art history, world or global art history. The latest developments coming from Malta also engage with the canon and its deconstruction. Malta. Land of Sea at BOZAR Centre of Fine Arts in Brussels has deconstructed Malta’s history and its established chronology to reconfigure into a table of elements in response to Malta as a territory of land and sea. In doing so it has completely obliterated the traditional boundaries and territories of the European nation-state and re-think history by acknowledging Malta’s liminality. The exhibition narrative was conceived as ‘re-engineered chronology... dislocating and reconnecting heritage objects...’ thanks to which ‘ New meanings are ... created as objects stand out for new stories when grouped together.’ By way of comparison and contrast, the Maltese national Pavilion for the 2017 Venice Biennale questions identity within its broader remit and identifies elements to inventory much like a collection this time being the outcome of the quest to understand Maltese identity. Curators Raphael Vella and Bettina Hutchek describe the pavilion, entitled Homo Melitensis, ‘try to decipher the web of relations that is established in the complex world of inhabitants and ghosts’ as they try to ‘imagine an identity situated between truth and non-truth, yet always treated in the concreteness of the local.’ Both projects embark on a journey of discovery, to rethink and re-propose, as both deconstruct hierarchy albeit in varied ways. The quest to revisit long-established history and histories continues to emerge out of its post-colonial identity conundrum and both projects question the canon and its significance. As curator and 2017 Manifesta director Bonaventure Soh Bejeng Ndikung, states in his recent contribution, ‘Decanonization is that possibility of unmasking and revealing the inner workings of the canon ... We must entertain the possibility of reviewing, rejecting, and declassifying some works that were thought to have been canonized. An ultimately flexible and elastic canon is akin to a non-canon.’  This comment refers to contemporary art practice in general but holds much more potential in the case of liminal frontier micro-cultures. Malta. Land of Sea at BOZAR Centre of Fine Arts, Brussels 2017. 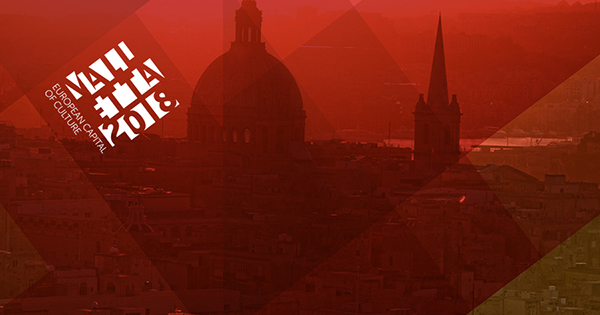 Where does MUŻA stand in all this, particularly as a legacy project for Malta’s 2018 European Capital of Culture title? The conceptual and theoretical framework of this new museum institution is to all intents and purposes aligned to the trends discussed. The new art museum has the challenges of its context to address, and the aspirations of a new beginning for Europe to engage with on the eve of the year which Europe dedicates to cultural heritage and which the Florence declaration has just launched once more as an extraordinary link between humanity’s past, present and future, the driving force behind the most advanced technology, a key player of the digital age and a key instrument in promoting sustainable development and economic prosperity. I shall list three main considerations which together constitute the foundation of an art museum institution grounded within the participatory museum model, to which MUŻA aspires, and which can lay a claim to a manifesto. The first consideration for this new art museum institution is about the type of art collections that it holds and its collections development strategies. Public collections can become tools of social cohesion representing the diverse remit of cultural identities within national cosmopolitan societies. Rather than segregate collections and material culture according to region, territory and nation, the new art museum institution would hold polyphonic collections inspired by the community’s inherent identities. Indeed, these collections would respond to an elastic, more encompassing and inclusive canon also challenging the power mechanisms that shape it, particularly the art market, whilst deconstructing, rejecting and declassifying hierarchy to rethink in response to inclusion and a broader remit of knowledge. The second consideration is about context and cultural ecologies. With a cosmopolitan society to engage with and a richly stratified multicultural community to constantly connect with, territories may be understood as in-between spaces holding a plurality of cultures and identities and rich micro-culture ecologies in their own right. Rather than frontiers and borders or dominant centres of artistic production, the new museum institution would acknowledge the liminality of its cultural ecology and the richness of layered cultural repositories which it holds within. The third consideration is about the intrinsic character of the discipline of art history guiding display and acquisition strategies for public art museums. The new art museum institution can be the yardstick of value and the author of narrative for the discipline of art history. By recognising polyphony and relativity as core values, this new museum institution would go beyond chronology and regional schools, core centres of artistic productions and dominant artists to create meaning and value through participatory experiences, acknowledge liminality as evidence of rich, polyphonic cultural narratives which may not be necessarily acknowledged by and complimentary to art market yardsticks and values. The new art museum institution would champion the plurality of its culture ecology beyond art market values and dominant yardsticks. These new art museum institutions would challenge traditional public art museums and the discipline of art history struggling to engage with societies in rapid change, suspicious of world and global art histories. The challenge is bigger when it comes to rethink, deconstruct and re-engineer collections with a genetically traditional identity, created and developed in response to core-periphery yardsticks, established canons of art history and the supremacy of aesthetics. Small public museums, of which MUŻA is a good example, hold potential to weather this positive change much better. Their historic roots to the culture ecologies to which they belong are oftentimes stronger and better connected. Participatory experiences can reach out rapidly and effectively. When nation becomes community, and the museum becomes public-centred and focused on the individual, the discipline of art history would shift, morph and change into a polyphonic, non-westernised, liminal discipline. The future might let us peep to see what it would look like, with the museum institution as its mentor and author. Sandro Debono (2017), “Frontier Art History – Malta a case of ‘betwixt and between’ “ in Sandro Debono, (ed. ), Malta. Land of Sea, Exhibition catalogue: BOZAR- Centre of Fine Arts, Brussels, Malta: Midseabooks. Sandro Debono (2017), ‘Malta. Land of Sea – An exhibition to rethink territory and heritage values’ in Sandro Debono, (ed. ), Malta. Land of Sea, Exhibition catalogue: BOZAR- Centre of Fine Arts, Brussels, Malta: Midseabooks. Sandro Debono (2017), “MUŻA – Participative Museum Experiences and Adult Education” in Darlene e. Clover (Eds., et. al. ), Adult Education, Museums and Art Galleries – Animating Social, Cultural and Institutional Change, Sense Publishers. Sandro Debono (2016), The Museum of the Future, Sunday Times of Malta, May 27. Sandro Debono (2016), ‘MUŻA – A Case for Rethinking National Museums and Cultural Spaces’ in Cultural Mapping – Debating Spaces and Places, Proceedings of the Second Annual Valletta 2018 International Conference on Cultural Relations in Europe and the Mediterranean, 22nd & 23rd October 2015 – Valletta, Fondation de Malte. Sandro Debono (2015), “Should Access to Cultural Heritage and Creative Expression become a Constitutional Right?” in The Sunday Times of Malta, 22nd March. Sandro Debono (2014), ‘MUŻA – Rethinking National Art Museums and the Values of Community Curation’ in Malta Review of Educational Research, Vol. 8, no. 2, pp. 312-320. Cfr http://www.beniculturali.it/mibac/multimedia/MiBAC/documents/1490881204940_DECLARATION-Dichiarazione.pdf (accessed 29 April 2017). Peter Wiebel (2006), ‘The museum of the future’ in Shumon Basar and Markus Miessen (Editors), Did Someone Say Participate? An Atlas of Spatial Practice, MIT Press, 177-78. Nina Simon (2010), The Participatory Museum, California: Museum 2.0, 350.
 http://en.masumiyetmuzesi.org/page/a-modest-manifesto-for-museums (Accessed 14 April 2017). Sandro Debono (2017), ‘Malta. Land of Sea – An exhibition to rethink territory and heritage values’ in Sandro Debono (Ed. ), Malta. Land of Sea, Malta: Midsea Books, 17. Bettina Hutchek, Raphael Vella (2017, Eds.,), Homo Melitensis – Malta Pavilion, Mousee Publishing, 3. Cfr. Bonaventure Soh Bejeng Ndikung (2017), ‘The Globalized Museum? Decanonization as Method: A Reflection in Three Acts’ in Mousse 58.